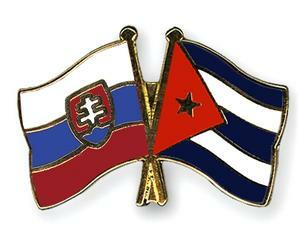 Cuba and Slovakia highlighted the potential in Bratislava today to expand ties in various areas, during a meeting between the Foreign Minister of the island, Bruno Rodríguez; and his counterpart, Miroslav Lajcak. According to Prensa Latina, during the meeting, the diplomats spoke of the friendship between the two peoples and the potential to deepen and expand the exchange in sectors such as energy, medicine and biotechnology. Rodríguez and Lajcak also called for increased cooperation in the fields of culture, sports and academics. The ministers noted the positive state of bilateral relations, as well as the progress made on the agreements reached during the visit to Havana of the prime minister of Slovakia, Robert Fico, in October 2015. Rodríguez made an official visit to Slovakia on Tuesday, the first carried out by a Cuban Foreign Minister to that European nation.